The vulcanized fibre is a strong and resistant material apprecciated by its quality suitable for solid and corrugated board. East to trim with a chamfering knife, the locator allow you to transfer the matrix on the cutting plate in a perfect register, firmly sticked to the steel plate. Fingerlift makes easy to remove silicone paper on the back of the matrix. Wide range of sizes to satisfy all requirements. 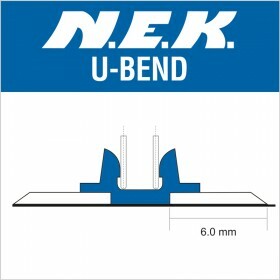 U-BEND CORRUGATED MATRIX has been developed for double creasing of general corrugated and microflute boxes. It is guaranteed to produce perfect 180° crease without crushing or crimping the carton. 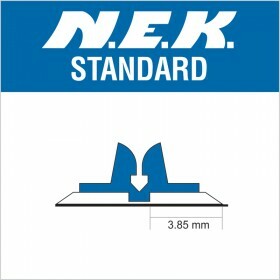 STANDARD Type used for all typical creasing applications. 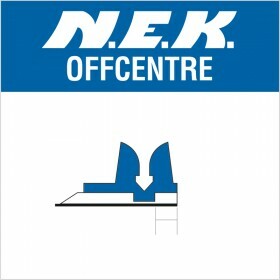 OFFCENTRE Type ideal for forming a double crease or where the crease is located close to the cutting rule. 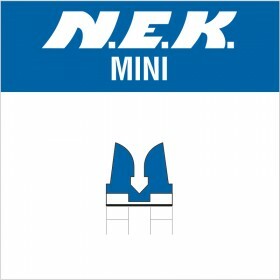 MINI Type used for multiple crease applications, can also be used in combination with offcentre. 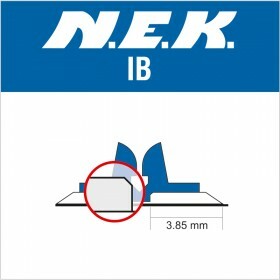 IB LARGE Type used for all typical applications or when strong adhesion is needed and helps prevent slitting in case of recycled or inferior quality corrugated boards. 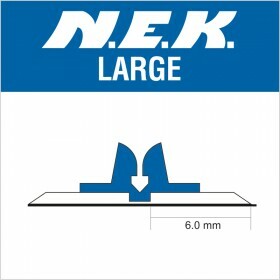 LARGE Type used for all typical applications or when strong adhesion is needed. 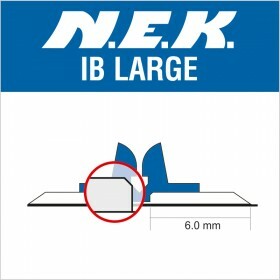 IB Type helps prevent splitting in case of recycled or inferior quality corrugated boards.